Small-scale fisheries use simple fishing gears and vessels, often involving artisanal fishers collecting finfish and invertebrates. Catches are commonly multi-species in nature and their utilisation can be for subsistence consumption and for domestic or export sale. A vast majority of fishers worldwide are employed or engaged in small-scale fisheries. Despite this importance to livelihoods, research on small-scale fisheries has only come to prominence in the past decade. Management of small-scale fisheries has often proved difficult due to ‘commons’ access rights, high numbers of fishers, ill-adapted management regulations, weak governance and political will, and ineffective enforcement. Furthermore, the links between very small-scale operations and global seafood markets have not been well articulated and hence largely overlooked. As a result, we are witnessing a global pandemic of overfishing in small-scale fisheries and consequent moratoria, trophic cascades and livelihood losses. New paradigms have been recently developed for improving governance, regulatory management, compliance and resilience of marine resources in small-scale fisheries. Nonetheless, further challenges remain for testing these new strategies, understanding the local and global market structures in which small-scale fisheries are embedded, and developing research tools for diagnosis and monitoring. This Research Topic brings together leading research on new approaches for assessing and managing small-scale and artisanal fisheries from around the globe. We encourage submissions that offer new insights and approaches that can contribute to improved management and governance of small-scale and artisanal fisheries, rather than descriptive studies simply reporting on fishing activities and catches. 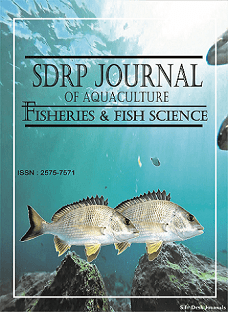 The Research Topic covers novel research on small-scale fisheries assessment and monitoring, socioeconomics, governance, trade, and management measures.